If you plan Barcelona travel then we will guarantee that you will be hosted by very welcoming people there. Barcelona city is a Mediterranean city and so are the people. They like to welcome people from all over the world. The city stands out being a cosmopolitan place in European cities. People from other countries of the world live in peace. You can see many 'homeless' people in both main and side streets living happily. We hear that you ask how can homeless people be happy? After a little search we have concluded that these people on the streets have a life style and belief that they want to keep on. They choose living on the streets. It's not a defect there! but this scenery won't you be mistaken. People passing nearby homeless people have different connection. They share what is going on around and they communicate as everything is usual and everything is really usual in the streets. Most of them have a big stereo tapes and dogs. Barcelona People don't be disturbed by each other. Of course, not all the homeless people are having fun! But there are some social institutions for these people. 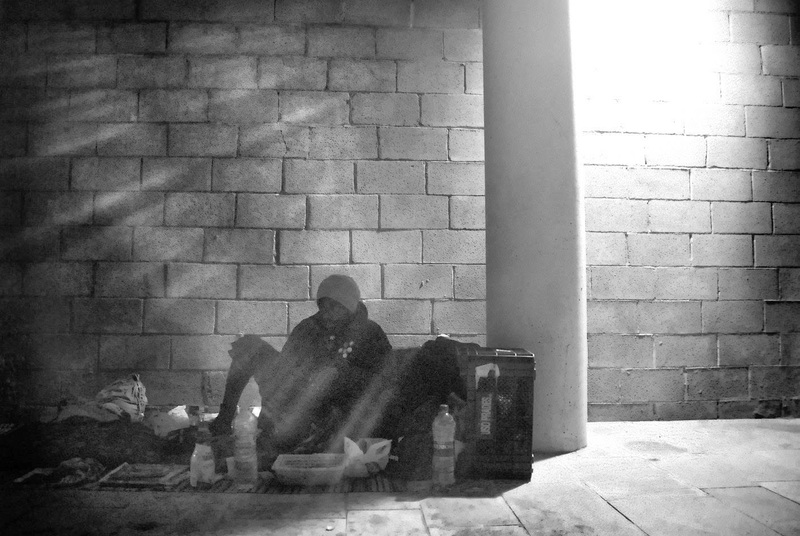 What we see is most of these homeless people are from other countries. Beside this situation, it's likely to come across people who have hearty welcome at the restaurants, shops and cafes. 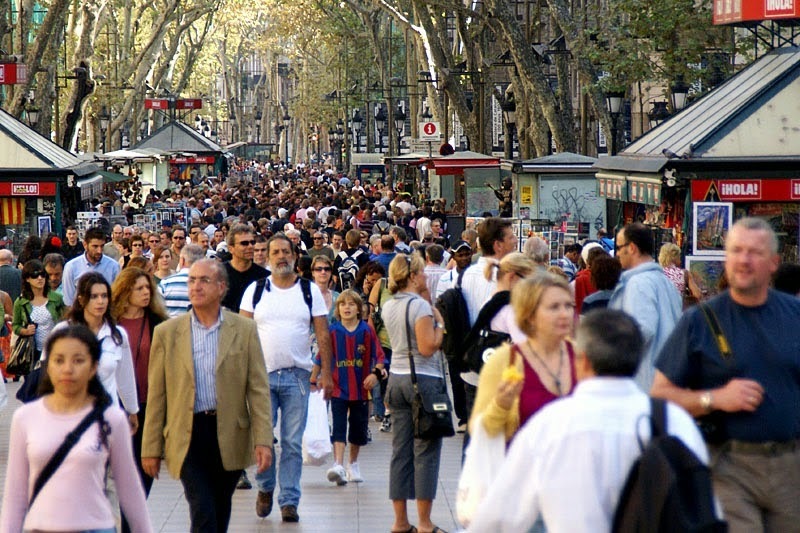 People in Barcelona know at least two languages. They speak Catalan, Spanish and English. Most of them know English, too. So when you travel in Barcelona city, it won't be difficult to communicate. As it's a touristic city, people from all over the places can speak English. When you visit a place such as a museum or cathedral they start to speak Catalan until you say Hello:). Then they transfer to English easily. In Barcelona people are aware of the cosmopolitan part of the city. They don't ignore the rest of the world. It's said that people in Barcelona are fond of their language and city and they don't like people in Madrid but it's not the same all the time especially to the tourist. It's a situation between people from Madrid and Barcelona but anyhow everything is in it right place in this city. Who doesn't love one's language and city! At nights, the streets are not so dangerous. A person even alone can travel around the city but still you should be careful about it as there are many outsiders. In side streets, you can see many graffiti samples. Maybe the people can express their idea so openly, it won't be necessary to disturb the around. In side streets you can walk comfortably even at nights. 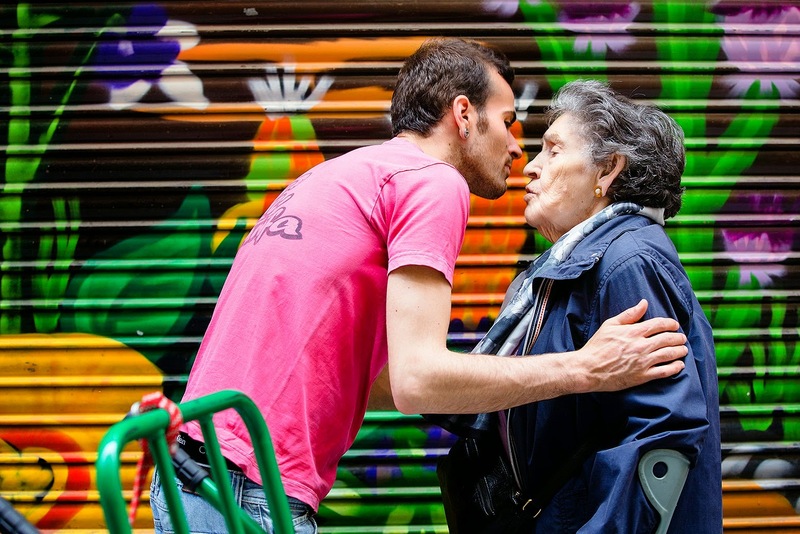 In Barcelona, there is a famous tradition between people. They come together and dance at the middle of the streets. So why do they perform this dance? It's called Sardana. 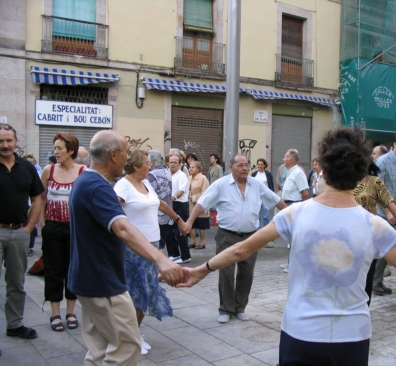 People come together on Sundays in front of the cathedrals and start to perform Sardana. When we think about Barcelona, flamenco dance may come to our minds but Sardana is their more famous dance style. It shows their unity and living in harmony. Barcelona people love to live! We will keep on being your Barcelona travel. Please check our other articles.